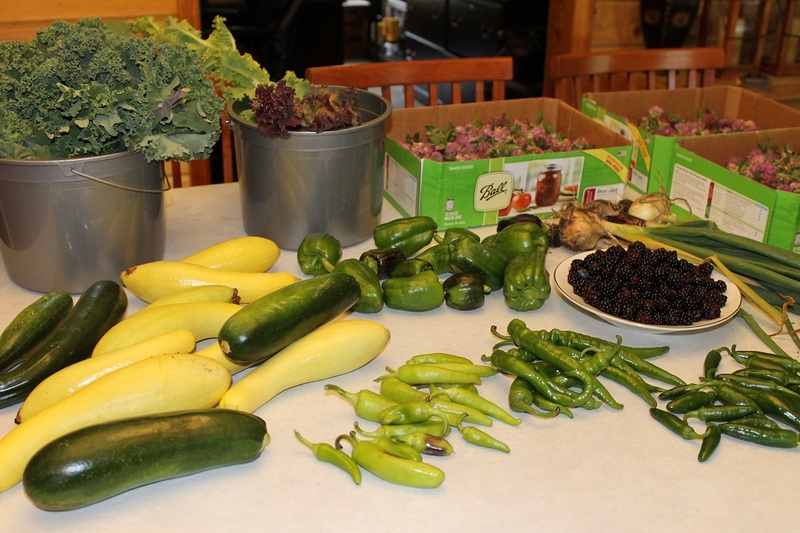 With persistent what-the-hell-happened-to-our-weather conditions since last year, we have experienced full-on wacky gardening since winter finally ended (for the second time) in May. Growing plants and vegetables which are often simple has been nearly impossible, while other trickier crops are thriving in full rainforest mode. One thing I am certain of is there’s no such thing as ‘normal’ growing conditions these days. Because of a very late frost our kiwi never blossomed to make fruit. A superb strawberry season was cut short and the asparagus did not have a happy spring. Two torrential rain storms literally washed away rows of newly planted sweet corn, leaving rivers of muddy clay where a light sprinkling of mulch had covered the carefully tended rows. Some of the corn eventually sprouted in the nearby grass. Having reached our 4th summer here on Cog Mountain, for the very first time birds attempted to wipe out our blueberries. I had been so happy ours were healthy and ripening after hearing that much of the east coast had lost its blueberries to late frost. But then fate decided my big plump purpling berries had an alternative destination. It was a small consolation when I discovered there was half the blueberry crop left for me tucked under each big branch. It seems the greedy crows only picked from the top of the bushes. The lettuce and spinach really struggled to germinate this year. So much rain and so little sun left a soggy mess in those beds. Contrarily, the kale doesn’t care about little things like weather and has replaced our daily fresh salads with kale chips and smoothies. The usual suspects, i.e. the tomatoes, onions, peppers, kidney & black beans along with the squash are all doing fine….so far. For the first year in three the butternut squash didn’t get soggy and die early, so we’re looking forward to more butternut soup and bisque this fall. Even with all the growing challenges, as cheesy as this may sound I’m finding when a door slams shut several windows open. Herbs I use for spices and medicines are growing abundantly this year. Additionally, wildflowers and the so-called weeds I collect for medicinal teas and salves love the non-stop summer rains. The yarrow, red clover, plantain and peppermint are available to cut and dry in unlimited quantities. I invested additional time to gather more than I usually do with the thinking next year may not have such favorable conditions to produce as abundantly. These days we just never seem to know. My garden compost has also thrived through the soggy and foggy routine of late. Each turn of the pile yields tens, even hundreds of worms at a time. I am confident that absent my ability to purchase organic fertilizers and plant foods for the garden, we could adequately feed the fruits and veggies via composted worm dirt. The bio-diversity of life in our garden appears to be increasing. This year brought a large number of lady-bugs, toads, and a rather bothersome tunneling animal I assume is a groundhog. He has yet to pop through and consume noticeable vegetables, though his tunnels have destabilized and toppled a few corn stalks. I have no idea what he may be doing deep down near my sweet potatoes. Out of sight is NOT out of mind. The bottom line seems to be that gardening has morphed from a soothing pastime or quiet hobby into a necessary adventure. Many areas of the world now experience extreme conditions such as torrential winds and rain or out of season cold snaps, droughts and floods. With unpredictable weather and the precarious geo-political and financial systems teetering, it is clear to me uncertainty is the new normal. 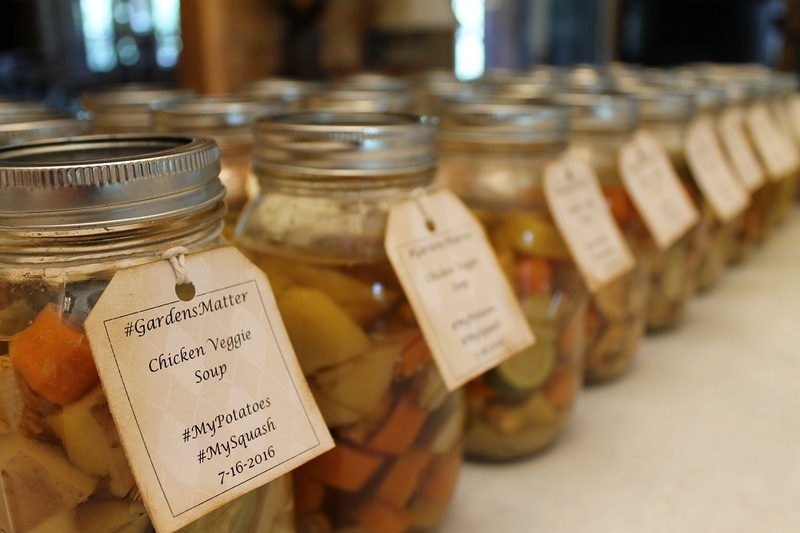 Perhaps it really is time to re-affirm that Your Garden Does Matter more than ever. Great article Mrs Cog.I have been very busy in my own garden as well.Being in extreme south Florida presents different problems for some crops.We plant tomatoes in October and right now the heat is preventing fruit set so my plan is just to keep them alive until then.The herbs are doing well and I am trying to encourage a seed and fruit exchange with the other gardeners in my area.Mrs Kestrel spent the last week processing mango’s so we are knee deep in mango’s now so we are trading some of them for other home prepared goodies. As far as your animals in the garden goes,if you have a groundhog you will find his den entrance nearby.It will have a big pile of dirt about the size of a bushel basket and a hole about six inches diameter.A colony of moles will undermine a large area and the holes will be about one inch.Tramp should be interested if they are moles. Are you sure it is crows in your berry patch?Grackles are also all black but much smaller.If it is crows and they left half your berries,they did so on purpose.They didn’t want to be greedy.Crows are amazing birds and you can develop a friendship with them. Again,thanks for a great article. Thanks for the garden update! Its great to hear how others are making out with gardens this year. Mangos sound so exotic, yummm. I did find the pile of dirt near Mr. Groundhog’s entrance to the garden – one of the only spots NOT protected by bunny wire we buried deep along the perimeter fence. Smart buggers they are. I didn’t know the crows were smart or personable, so thanks for that info. There is a group of six crows that have hung around on neighboring properties over the past year and visit here once in a while. Good luck with those tomatoes. Our best to Mrs. Kestrel. If you would like make friends with your crows,take them some unsalted peanuts or unsalted trail mix.Walk up to them and say hello and throw the mix one piece at a time in the grass near them.I f they don’t come down for the food,back up 50 feet or so.If they were watching you they will have memorized where every piece went.Two or three days of this will make them more comfortable with you. Cog can practice his inter-species communication with them.They have primate level intelligence and are powerfully magical.They are one of my favorite animals to work with. As a side note,I went to pick some moringa for dinner tonight and found three baby iguanas in the branches.They are my second biggest problem in the garden.First are white flies.The iguanas love beans so much that you have to put them an enclosure if you want any harvest at all. Nice garden! Events kept me from getting one in this year, other than luckily being able to score a few tons of horse poop to put on it (money in the bank for next year). I generally compost in place and use the Ruth Stout method (drown weeds in mulch, usually hay). 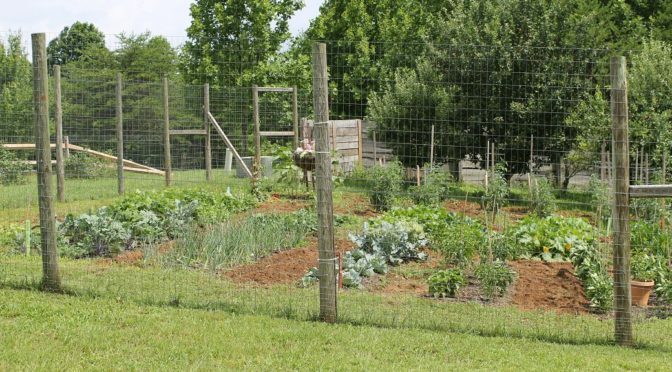 Once the soil is rich enough, you can plant so close together that your desired plants simply choke out the weeds, which then act as trap crops for pests, if anything (pests tend to go for the sickly plants). FWIW, your burrowing guys tipping your plants over are likely moles or voles. 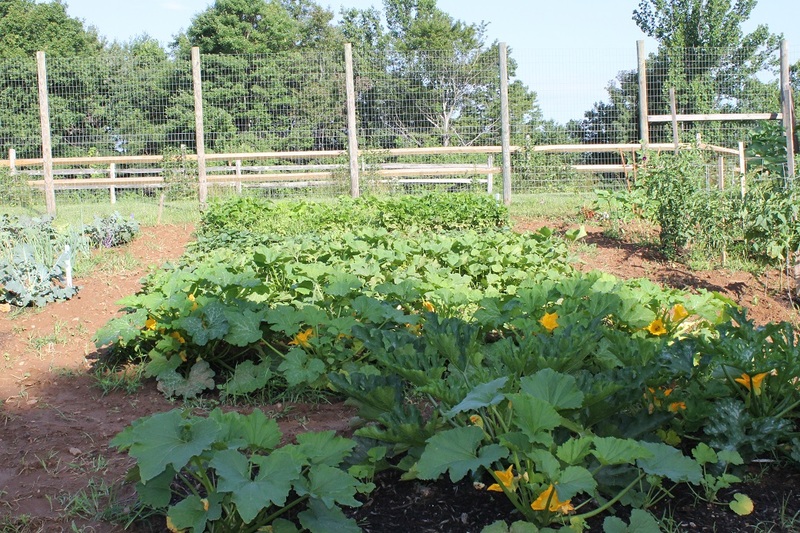 Depends on what you grow, of course, but a single groundhog will completely wipe out a garden overnight, usually just before harvest time on things like broccoli and greens and such. Their holes are deep and leave nothing showing on the surface. If you’ve got visible bumps where the tunnels are, it’s something else. The little guys (moles etc) are annoying, but are likely doing you a favor. Their preferred eats are underground pests, like larvae of locust and japanese beetles (they will go for some flower bulbs in a pinch, though). Nature is almost always your friend if approached with the correct attitude. I always plant a little extra for the minor parasites, we get along – birds get some of my berries too, but there are enough for all. Crows are not entities I’ve managed to befriend yet (I did manage with deer, and that’s an accomplishment), and have wiped some corn crops out here – even when covered with wire mesh as they sprout. They even pull up already-germinated plants to get what’s left of the seed kernel. 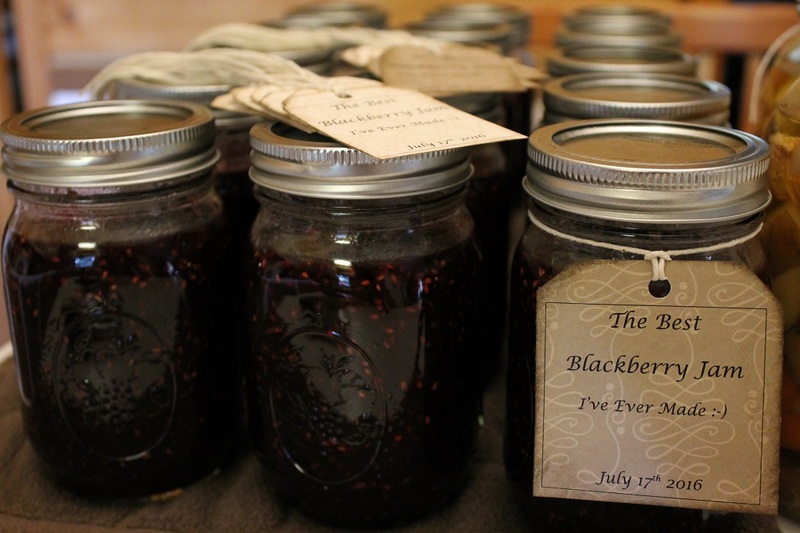 MMMM, Blackberry jam, one of my favorites. Beautiful garden y’all have there. I will add another fun fact on the crows. Crows HATE hawks and will sound the alarm if they come around and also will pester the hawks until it has no option except to leave that immediate area. So if you have chickens that free range then the crows will provide a little protection for them. We through out some table scraps for the crows and they also get to share the chickens feed so it works good for both of us. Thanks so much for the garden encouragement.